Phillauri Movie Review: Phillauri is releasing tomorrow across the country. The film received a lot of positive rejoinder from fans and movie critics around the country even before the release. Impressive trailer and fusion of comedy with ghost stories is entirely a new concept. Diljit Dosanjh is quite friendly with the ghosts. While the concept was completely new for Anushka Sharma, Mehreen Pirzada, and Suraj Sharma. For those who don’t know much about Diljit, his two films Sardar Ji and Sardar Ji 2 were a big success in Punjabi Box Office. Both the movies based on the story of falling in love with spirits. Phillauri more or less appears to be the 2nd Sequel of Sardaar ji. The film shares story of a spirit who accidently got married to Suraj Sharma (Kanan). Suraj marriage scheduled for the next month with Mehreen Pirzada (Anu). Being aware of some flaws in his stars, astrologers suggested getting him married with a tree. Anushka Sharma (Sashi) was residing inside the tree since very long. After her marriage with Kanan, the spirit (Sashi) got senses. Phillauri is a film about adventures of Kanan and Anu trying to find out the reason behind Sashi not getting released from the earth. It’s interesting part how the trio got into one team to see the real story of Phillauri and his wife, Sashi. Having a comparatively better, fast moving and a hugely entertaining first half, Phillauri begins on a jarring note (with few unfamiliar faces on screen) but then pulls the viewers in through many well- conceived witty sequences and some appealing story developments before the intermission. In the second half though the pace drops due to the usual predictable plot of unfortunate things happened with Diljit (Philauri). Still, it keeps covering the misconceptions fast with the dependable Diljit and never minds to lose the grip heading towards another comical climax giving you the worth of your money spent. Songs during the second half could be the only thing which can help you attached with the movie even on the small scenes. Diljit has done many songs for his film, but the hard work and dedication for Phillauri is remarkable. Phillauri being sordid on a ‘ghostly’ fantasy plot, it would be foolish to search for any reasoning in its various sequences related to the captured spirits and more, especially when writer Anvita Dutt utters a mostly engaging screenplay. One couldn’t stop himself from falling in love with the level of gags Mehreen Pirzada delivers. We can quote her as ‘enchantress of romantic comedy.’ No doubt our industry is going to welcome Mehreen and Suraj in mainstream Hindi movies. Fans of Diljit are going to miss timely punches in local lingo which used to give a unique finish to the film. 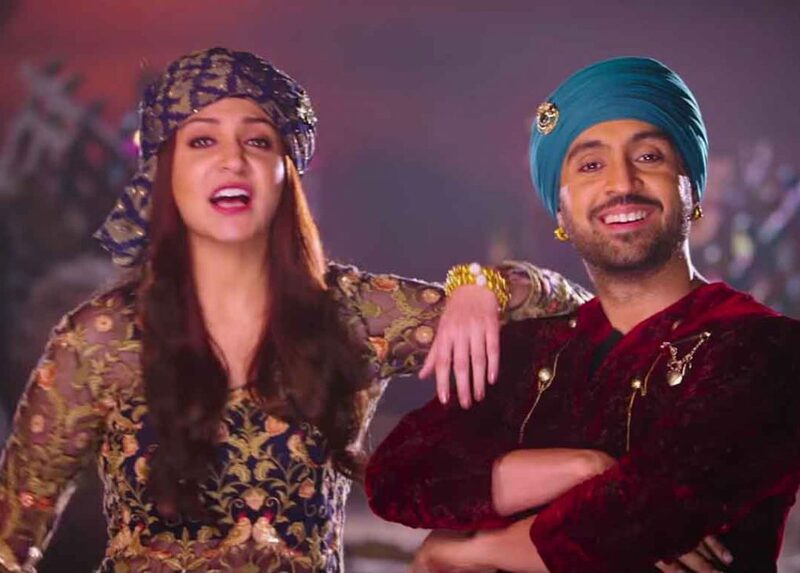 Phillauri has an eye-catching cinematography, some decent special effects as required and an enjoyable, catchy soundtrack with many good songs composed, written and rendered well. Sometimes it became difficult to identify mistakes in a ‘perfect production,’ and that happens with Phillauri as well. One thing which observed during the entire time play was the hard work of actors and the whole team. Phillauri was a big deal for each and every person in the movie. Anushka Sharma being the producer and actor as well. Diljit who is going to define his future in the Bollywood industry with the first film. Suraj and Mehreen who need to perform at any cost for saving them from big unfortunate. The film is true comedy and romantic; even the kids will not feel scared while watching it. Diljit is finally entering the Bollywood in leading role with the release of Phillauri. Phillauri combines romance with comedy and extremely fine work. All the actors performed above the expected levels. Anushka Sharma and Diljit Dosanjh chemistry are quick love. Projection of early age India was nicely done. Director Anshai Lal delivered exceptional performance after quite long. 2nd half comparatively less entertaining. Unique story penning style is quick love. Overall a must watch for movie lovers this weekend. “Cold Sober” ideology slows down the overall pace during the second half, but Diljit acting keeps you engaged. Only action lovers can consider avoiding this. This is a hilarious comedy, but it also has great emotional depth. Rather unsurprisingly, it turns out that Jasmine is the one who caused Pinky’s death. It was an accident, and Jasmine has been tortured by guilt for the last four years. It is only when Jaggi finds her that she begins to see a way out of her depression. We are giving Philauri 8/10 stars. Although the movie deserves 7/10 but one extra points for the acting and chemistry between Diljit and Anushka Sharma. This Phillauri Movie Review didn’t contain any spoilers.